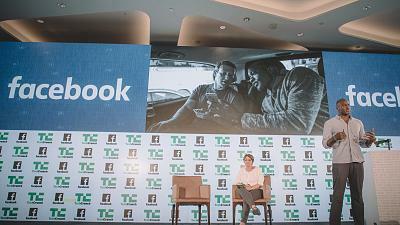 LAGOS– In line with its commitment to growing Africa’s technology start-up ecosystem and its passion for developing diverse, young talent, Facebook is returning as the headline sponsor of TechCrunch Startup Battlefield Africa 2018. The event, taking place in Lagos, Nigeria will search for Sub-Saharan Africa’s best innovators, makers and technical entrepreneurs. TechCrunch Startup Battlefield Africa sees start-ups compete across three categories that include; social good, productivity and utility, and gaming and entertainment. It profiles the founders and entrepreneurs leading Africa’s next wave of technology innovation and highlights new ideas, businesses and applications with disruptive potential. On December 11, TechCrunch Startup Battlefield supported by Facebook will bring together the strongest start-ups from across Sub-Saharan Africa, where they will pitch to a live audience of 500 people ranging from VCs, investors, government officials and developers.